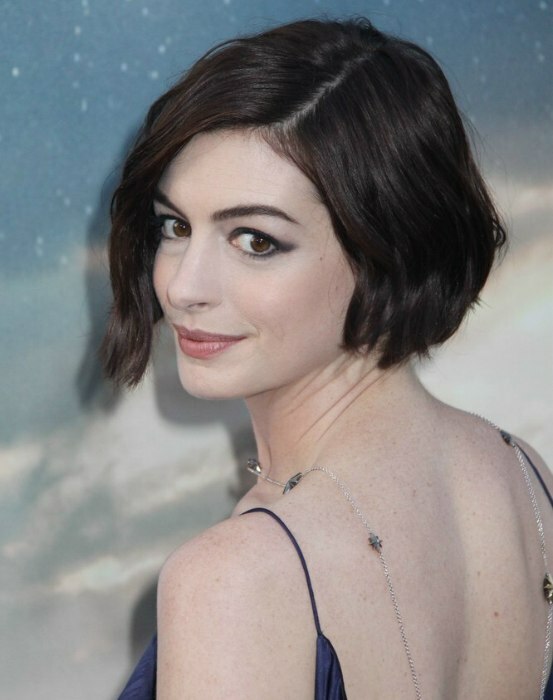 Anne Hathaway made certain to impress in a glamourous satin floor length Richard Nicoll navy tinted gown featuring a deep V-neck at the Los Angeles premiere for her role in the film Interstellar on October 26th, 2014. Anne's modest dress is the perfect canvas for showcasing the interesting bling, a star-embossed necklace and matching hand-piece provided by James Banks Designs. 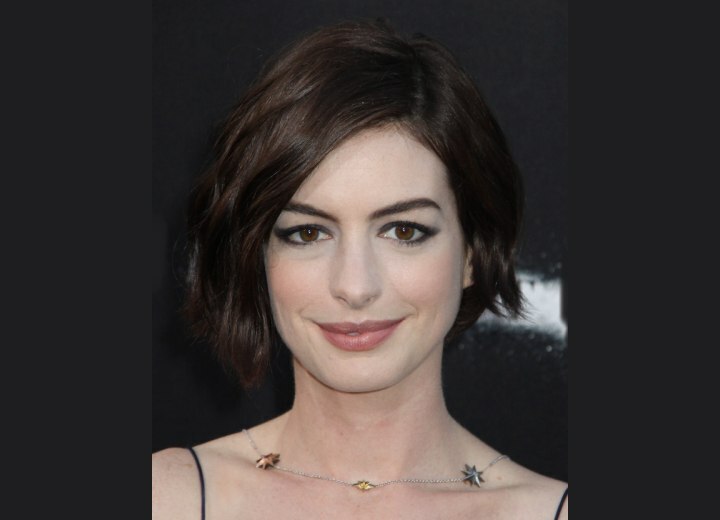 We love that Anne's makeup was kept soft, as were her curvy tresses to keep the shorter style looking feminine. 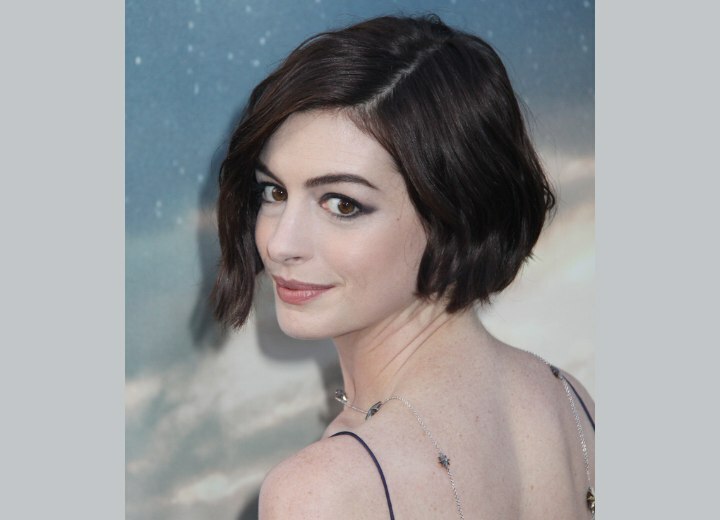 Anne has been in the process of growing her hair out from the famed pixie style she previously rocked for her role in Les Misérables. Clearly, she can do no wrong in the hair realm. 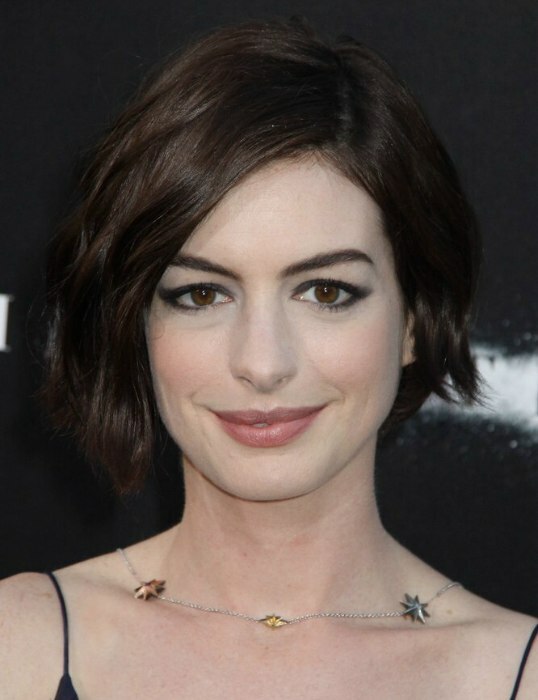 A blow dry balm is generously applied to her coffee colored asymmetrical bob to help protect Anne's growing hair in addition a ionic tourmaline blow dryer used to assist in keeping Anne's hair as healthy and shiny as possible. Next a rat-tail comb is used to evenly part her hair off to the side. After the hair has cooled back down to room temperature, random mid-sized sections of hair are then deftly wrapped around a ceramic curling wand to produce the soft and wavy style Anne is rocking.